Anyone doubting the power of words need only look to the recent prison sentences handed out in the wake of the nationwide riots of August 2011. Two teenagers posted up a call to insurrection on Facebook. Another young man urged his friends to violence and destruction via the BlackBerry Messenger system. None of them had smashed a window or looted a shop or set a property on fire or struck a civilian or police officer; but for composing such words and pressing the send button in a moment of childish adrenaline fuelled madness they all received a combined prison sentence of more than a decade. Sending out a tough message indeed. If we set aside the obvious need to punish wrong doers and protect the public from the most violent of offenders, the pressing question for everyone involved in the prison service – on both sides of the door – is what purpose does prison need to serve? For many people who go there, prison is simply not a deterrent. Some of them even prefer it to home – if they are lucky enough to have such a safe refuge on the outside. But the ever-swelling prison population is a very clear signifier that either too many people are being sent there, or too many people are going back in. Rehabilitation? If such a thing is possible, then it’s clearly not happening to any satisfactory degree behind the walls of Her Majesty’s Prisons. I’ve been a writer in residence in HM prisons for 18 months now. Despite making a living from writing for the last 10 years, I think I’ve learnt more about the power of words in this environment than any other in my so called career. I have seen young men who have only ever expressed themselves through violence and rage pour their energy into prose and verse and in the process discover a sensitivity and self awareness previously buried beneath years of brutal neglect. I have seen men previously adamant that they had done nothing wrong discover an empathy for others and a sense of real regret through the emotions their writing has released. I have seen men who greeted the world with a snarl have their hearts and minds calmed by the thrill of creating their world anew with the power of words. I have seen real reform and genuine commitment to change. And it has all happened through the creative power of writing. John Major once famously said that we should “condemn more and understand less.” I would suggest that this attitude has had its day and has been proved to be dismally unconstructive. If we are going to change our society we need to change our tactics. The Writers In Prison Network, of which I am proud to be a part, have had their funding pulled by the British Arts Council as part of this coalition government’s cuts. In times of austerity it seems that the arts are always the first to suffer. But I would argue that the responsibility for funding creative writing workshops in prisons should not fall to the Arts Council. 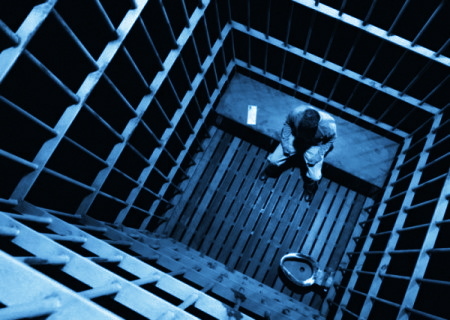 If society is serious about rehabilitating offenders and reducing the prison population then creative writing in prison should be funded on a permanent and ongoing basis and that happy task should fall to the governmental department for social inclusion – if such a thing exists. And it should provide as much money as possible; the equivalent to a banker’s bonus, for instance. Imagine the good that could be set in motion for the future generations. Imagine the money that could be saved. Imagine that. If we are ever to truly rehabilitate those who routinely break Britain, we need to provide other outlets for their energy, other avenues for them to explore apart from mindless tasks for little or no reward. We need fewer destroyers and more creators. We need more writers in prison, both those with keys and those without. We need to repair society’s damaged souls and move them from ignorance and brutality to compassion and respect, for the sake of both themselves and the society they will return to. We need positive action. And actions, as we all know start with words.